John Howard started the winery as a retirement project and runs it with his passion to create and distribute the finest wine in the Niagara Region. 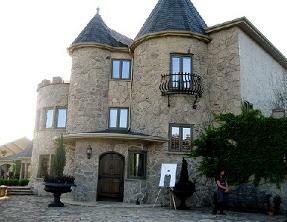 At this Niagara Winery the wines produced are usually reflective of the land, weather and even the people who contributed to the production of these wines. The property stretches over 110 acres in Vineland Ontario, along the Niagara Escarpment. Duarte Oliviera, a second generation winegrower of the Niagara Peninsula, maintains the property in order to produce the best possible grapes. The winemaking process uses state-of-the-art and new French Oak barrels, imported from Francois Freres in Bordeaux France, to produce the finest VQA wines in the Region. The winery is not open to the public, for more information please contact the winery directly.